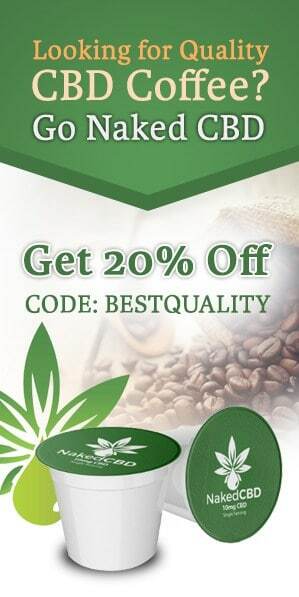 Average coffee lovers typically don't give a second thought to the water they use to make their coffee. 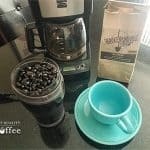 To many, the idea of choosing the best water for coffee is a strange and unnecessary idea. But believe it or not, the quality of water is vital and can literally make or break your coffee experience. 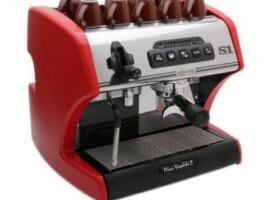 Sure, there are other variables to consider like brew temp, the coffee bean itself, the brew method and so on. But when you consider coffee is made up of 98% water to begin with it only makes sense you'll want to use the best water to brew it. One company that's been leading the way for this industry is Third Wave Water. When the opportunity to do a Third Wave Water review came across my path, I admit to being a tad skeptical. In my 40+ years of drinking coffee, I’d never heard of water specifically tailored for coffee. Below I document my experience with this water, and share how thoroughly surprised I was with the results. 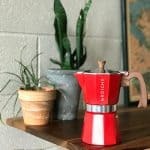 As someone who's had her share of different coffees over the decades, I wondered whether this was a gimmick similar to a business that bottles air and sells it at a premium. To cut right to the chase, my concerns were unwarranted and my experience with Third Wave Water has transformed my coffee experience. The best water for coffee will contain a balanced mix of minerals such as magnesium, calcium, and sodium. Third Wave Water contains all of these and each of them is included in just the right amounts for an ideal flavor. Magnesium enhances the sweetness, calcium balances the body, and sodium enhances the overall flavor profile. 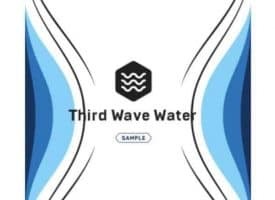 Third Wave Water is all-natural and there are no added chemicals. I was relieved to hear this as this was a point of no compromise for me. After learning more about the importance of good water, I started pondering which coffees I'd use for this Third Wave Water review. 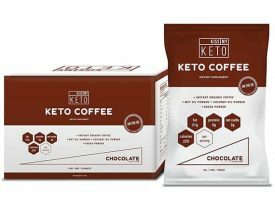 I've never considered myself an instant coffee drinker but I thought testing the water with an instant coffee would yield very telling results. 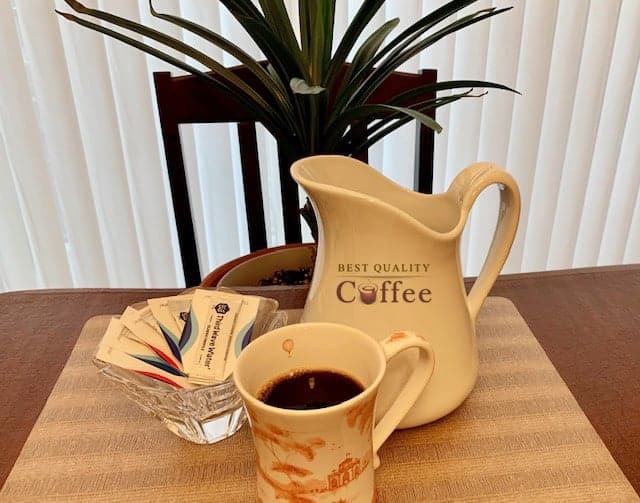 Instant coffee removes other brew variables since making it only requires adding water. 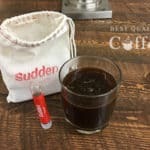 I made a cup of Sudden Coffee (which in my opinion, is already excellent option as far as instant coffee goes) and as soon as the brew hit my lips, I was stunned. I never imagined this type of improvement and it was like tasting a totally different…. and better cup of coffee. 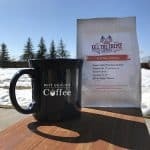 There was a very enjoyable body, depth, and natural flavor that was present with every sip. Like usual, I wanted to make sure this wasn't just a fluke. 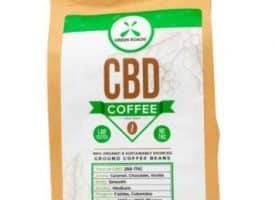 One of my new favorite coffees is Naked CBD K-Cups / Coffee pods and I thought it'd make for a perfect second test. At first, I was concerned about putting specialized water through my Keurig machine. But it turns out that running Third Wave Water through the Keurig actually helps descale it. 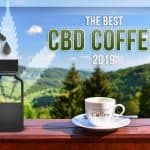 Anyone who owns a Keurig will be familiar with the grime and scale build-up that happens with repeated usage (see article on how to descale your Keurig). These deposits can block water flow during the brew process. Fortunately, using Third Wave Water not only makes for an improved cup of coffee but also helps keep my Keurig running better for longer. 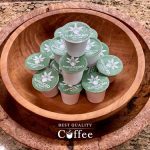 I popped the K-Cup into my machine, brewed the coffee, and once again found myself stunned. As with the first test, there was a major improvement in flavor and body. I'll rely on an analogy to describe what the experience was like. Drinking this coffee with Third Wave Water was like upgrading your television to super High Definition after spending your whole life watching TV on a standard screen. I could have gone for a third test for this Third Wave Water review, but it would've been unnecessary. I was sold on it. Third Wave Water comes in convenient sachets each with enough to treat 1 gallon of water. To be quite honest, I'll be bringing these sachets with me when I travel and could even find myself using this without coffee. 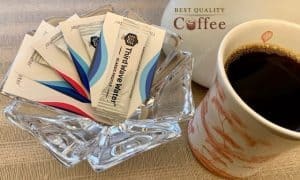 Tasting Third Wave Water was an eye-opening experience for me and it's now no surprise to me why many consider this the best water for coffee. 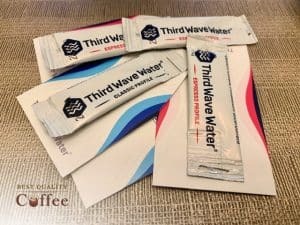 Third Wave Water has produced a product I think many coffee lovers will enjoy and appreciate. Sure, it's an added cost to coffee-related expenses. But I believe when you taste the difference, you'll think it's worth it too. As the saying goes, “life is too short to drink bad coffee“.